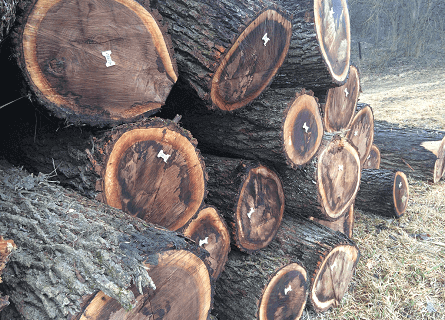 Looking to Sell Cut Trees in IL? Have you ever wondered just how to go about selling timber in IL? Do you know the value of your walnut trees? Not many landowners do. 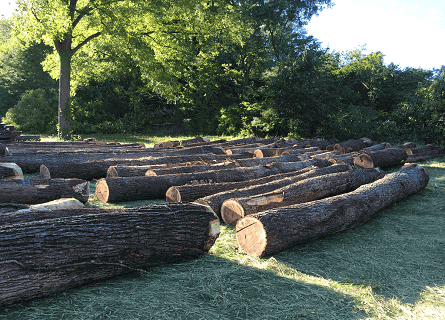 If you would like to sell cut trees in IL, as well as IA, MO or WI, contact the premier provider of logging services around; Walnut Timber Buyers. We will offer you the most money for your product because we care about being fair. Those other companies will only lowball you to try to get away with a low payout. Our licensed timber buyers work hard to provide fair and accurate pricing to our valuable clients. We specialize in buying cut walnut trees, frequently working with landowners, loggers, and importers. We will only harvest mature trees to get you the maximum profit. Plus, with no middleman to hike the price up, what you get is a fair offer for your trees. With us, you get honest, friendly service and a fair price for wood you have naturally on your property anyway. Why not profit from it? So, if you’re looking to sell cut trees in IL, select Walnut Timber Buyers. We proudly serve farmers, landowners, and hunters, committed to providing the highest levels of professional logging services. Our team offers comprehensive services you can depend on, from road building to marking of property lines to clean up. Why Sell Your Cut Trees? There are many reasons. Mainly, you’ll make a profit by doing nothing but calling us. You don’t have to worry about the mess left behind. Here at Walnut Timber Buyers, you’ll never even know we were there once we’re done. Discretion is a high priority for us, as is clean up. If you are looking to sell cut trees in IL or the surrounding states, please contact us at (309) 326-9711 or fill out our online form. We will contact you within 24 hours. You will find us at 2899 Bartruff Lane in Pekin IL.